These winter-weight thermal crew socks feature a soft sherpa-lined interior providing maximum warmth during the cold seasons. They come with rubber gripper-dots for traction on slippery surfaces. 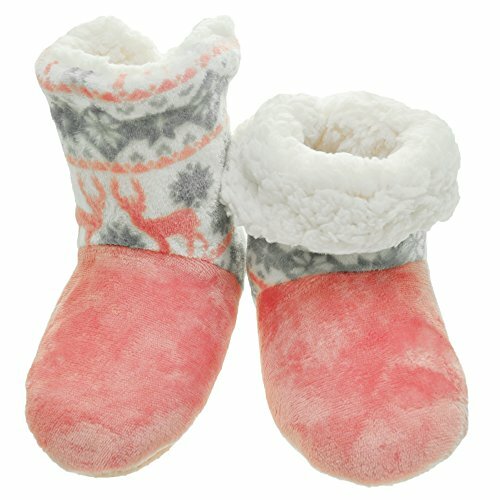 They are comfortable for wearing with any sleepwear while lounging around the house. Available in multiple colors and patterns. Made with 95% Acrylic and 5% Spandex. Machine wash gentle cycle in laundry bag, line dry. For best results, hand wash.